A two-year investigation, Hidden Wars of Desert Storm brings answers to all of these questions, based on documents never before seen on television and backed by interviews of such prominent personalities as Desert Storm Commander General Norman Schwarzkopf, former U.S. Attorney General Ramsey Clark, former U.N. Iraq Program Director Denis Halliday, former UNSCOM team-leader Scott Ritter and many others. This careful study of the events leading up to and during the first Gulf War in Iraq provide a fascinating and disturbing historical context for the current U.S. involvement in the region. 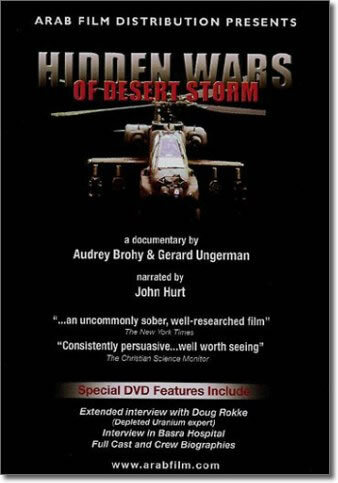 A large selection of archival footage, an original soundtrack by acclaimed composer Fritz Heede and narration by two-time British Academy Award-winner John Hurt all contribute to making Hidden Wars of Desert Storm a fast-paced, informative documentary that is resolutely accessible to a general audience. "Hidden Wars emerges as an uncommonly sober, well researched film of its type." "Hidden Wars of Desert Storm investigates the most significant Bush family operation before the 2000 Florida vote count."